What weighs from 4 to 50 pounds; has a curly, low-shed, hypo-allergenic coat; may be white, buff, sable, grey, black, parti, or tri-color; has a happy, friendly, outgoing disposition; and is gradually gaining acceptance as a recognized breed of dog? Why a Cockapoo, of course! Cockapoos are a hybrid breed and have steadily grown in popularity since the 1960’s. 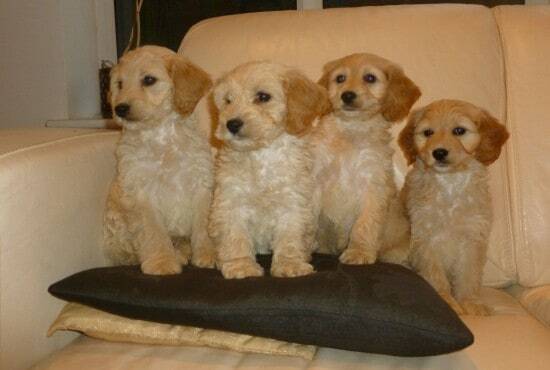 They are produced by crossing a Cocker Spaniel (American or English) with a Poodle, or by mating a Cockapoo with another (unrelated) Cockapoo. 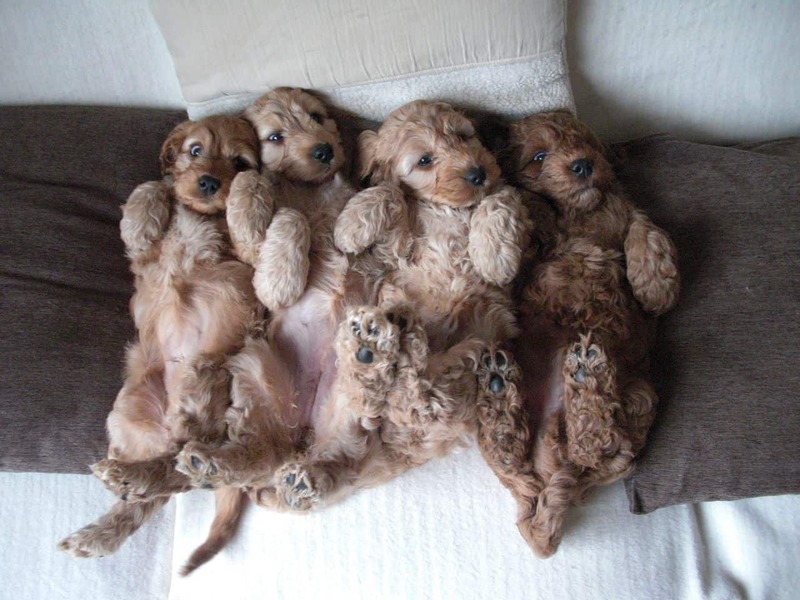 The size of the cocker spaniel and poodle (teacup, toy, miniature, or standard) determines the size of the Cockapoo. 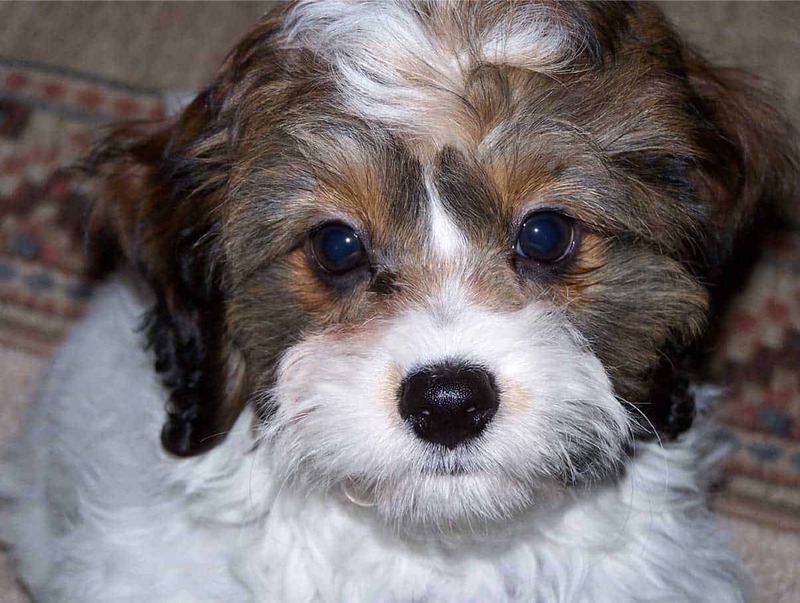 Generally speaking, a teacup Cockapoo weighs less than 6 pounds, a toy from 6 to 12 pounds, a miniature from 12 to 18 pounds, and a standard Cockapoo greater than 18 pounds. 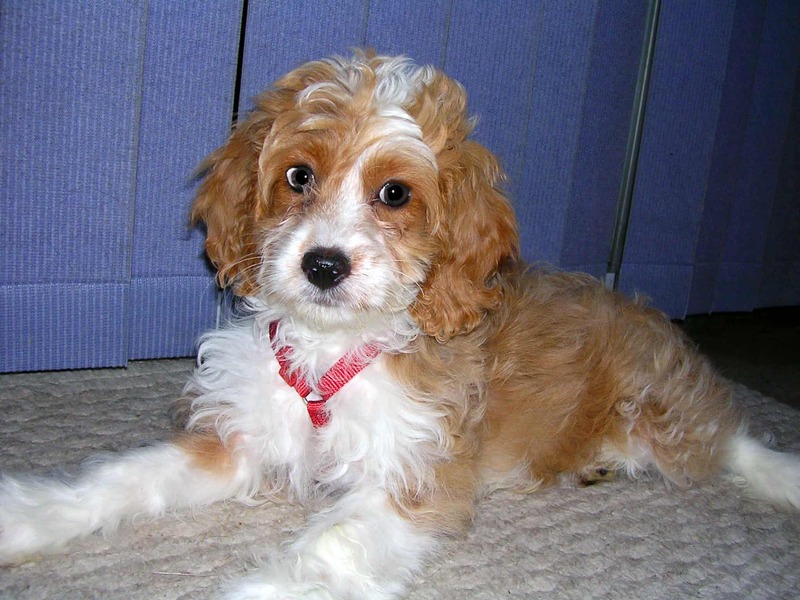 A Cockapoo’s face has characteristics of both a poodle and a cocker spaniel, and its body is approximately as long as it is tall. Cockapoos get their keen intelligence from the poodle side of the family and their sturdiness from the cocker spaniel side. They are rather quiet and calm dogs, well suited to life in an apartment or a house with a small yard. Cockapoos are also a good family dog, being good with both small children and other pets. 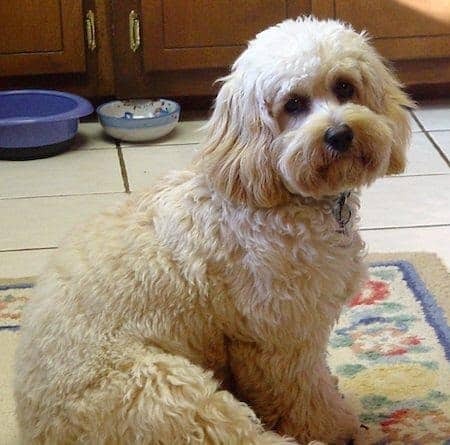 Although not currently recognized by the American Kennel Club (AKC), the Cockapoo is recognized as a breed by the Continental Kennel Club (CKC). Cockapoos may also be registered with the North American Cockapoo Registry (NACR) and the Cockapoo Club of America (CCA), both of which have established “official” breed standards. Because the Cocker Spaniel Poodle Mix dog gets his traits from both parents, we’ll discuss both sides of the gene pool, with their characteristics and demands. The lifespan of a Cocker Spaniel is in the 10 to 12 years area, while the Poodle is expected to live for more than 15 years. With a bit of luck, the Cockapoo will take after the Poodle side of the family in this department. The typical Cocker Spaniel weighs 15 to 35 pounds, with a height of 9 to 15 inches. The Poodle is the bigger of the two, with 22 to 27 inches in height, and a weight which varies between 50 and 115 pounds. The coat is different between the two as well, with the Feathered look for the Spaniel and the Curly coat for the Poodle. One similarity is the fact that in both cases, the tail is usually docked. Extensive grooming is required for both breeds, with professional coat trimming or stripping needed. It’s something that is best left for the professionals, but be prepared for that expense. When one combines a dog with a Poodle, the hope is usually that you’ll get a mixed breed that will not shed at all, making it a great choice for people with allergies. Hopefully, the dog will not take after the Spaniel, which is an average shedder. The parents of a Cockapoo are both barkers, so you can expect this dog to enjoy it as well. They can be a bit noisy, especially if they take after the Cocker side of the family. Temperament wise, the breeds are quite different. 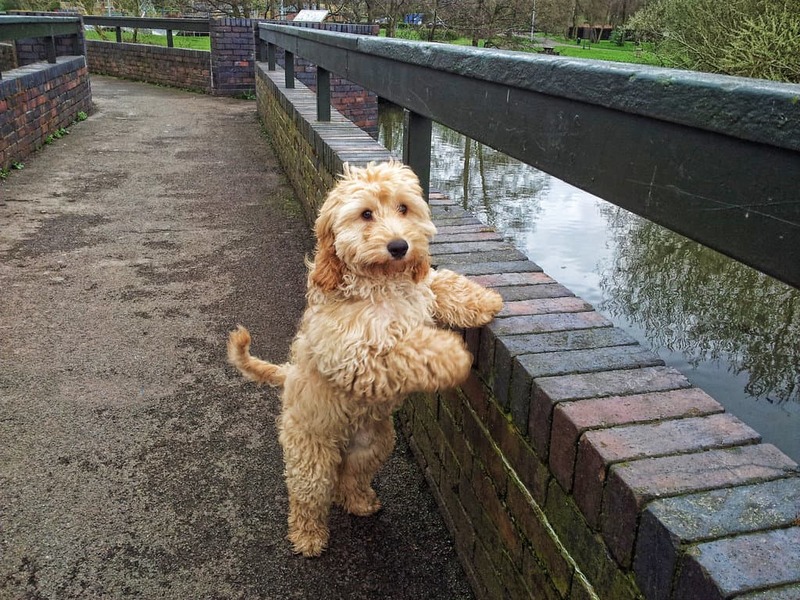 While the Cocker Spaniel loves people, is submissive but is not particularly independent, the Poodle is shy around strangers, depends on people a lot, and is not particularly submissive. If you have kids, you’re in luck, as both breeds are great around them. They also do well with other pets if you have them. As for the training potential, it’s extremely easy to do with this mix, especially since the Poodle is one of the most intelligent dog breeds. In both cases, the breeds require a certain amount of exercise, moderate to high levels of it on a daily basis, so this is not a dog you can ignore. You should only get one if you can offer him the attention he requires. These dogs require a small yard to play in if possible, but they should do OK in apartments as well, as long as they are exercised properly on a daily basis. Cockapoos are a cross between Cocker Spaniel and Poodle breeds. They are considered a mixed breed, born out of purebreds of different types. The outcome can be a combination of the best traits from both parents, at least that’s what the breeders are hoping for. 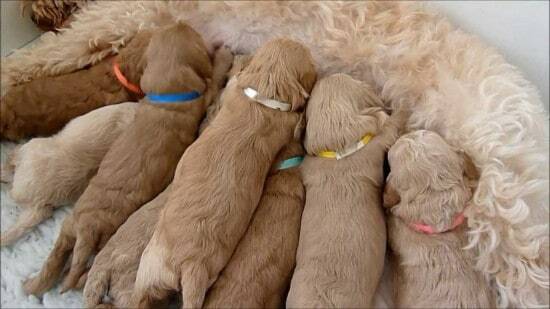 As for genetic variation feature itself, it’s very hard to predict for a cross breed dog. First of all, these dogs have various types of coat, including straight hair, different types of curls, loose waves and so on. 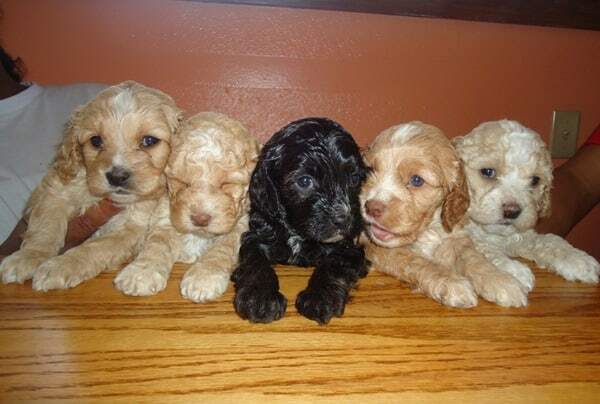 Most of them have curly or even wavy fur, but there are few who have the specific Poodle coat or the straight Cocker coat. However, their coat is always very soft. If you have a Cockapoo, you should know it can be groomed both as a Poodle and as a Cocker. If you want, you can keep them in puppy clips, having the coat trimmed to a fluffly length, while the hair on the legs is a little bit puffy. You can let the tail look longer. There are many people learning how to use these clippers themselves, but a lot of people prefer to rely on a pro. However, even if you prefer this job done by a professional groomer, you still need to brush your Cockapoo every day, as this breed needs daily care to prevent mats. Also, regular baths are recommended before going to the groomer. Those of you who have a Cockapoo with curlier Poodle coat should know that it’s necessary for your dog to be groomed by a professional every month or at least every six weeks. However, it’s very important to take care properly of its coat. 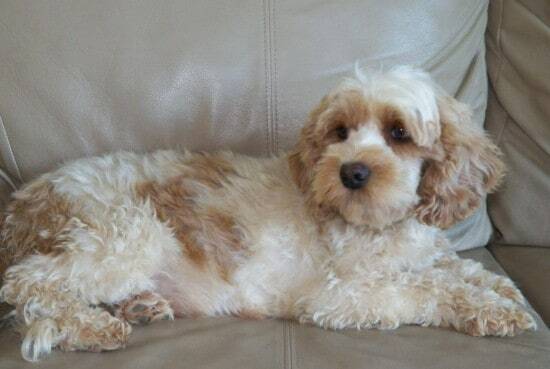 Otherwise, the Cockapoo’s coat will become a matted mess, this causing the dog different skin infections. You also need to keep your dog’s ears very clean and dry, in order to avoid other diseases. We recommend you to wash its face every day, being careful to wipe below the eyes. This way you make sure you prevent stains from setting. As to its genital hygiene, you’ll have to trim the genital area to help your dog stay clean all the time. If you don’t like this, there are groomers who are willing to do this for you. This way, you will not see your dog with feces getting caught in the coat. The Cockapoo’s nails need to be trimmed once a week. As for their dental care, you should brush your dog’s teeth as often as possible, especially this breed is liable to periodontal disease. You could use a vet-approved pet toothpaste. Cockapoo puppies are very cute and that’s the main reason why people love them so much. Another big reason why they are so loved is that they’re not expensive at all. Moreover, you could find such a dog at the local shelters or even some adoption organizations. If you want to find more information about this breed’s history or personality or you just want to see different looks of the dogs, even find breeders, you can start searching the website of the Cockapoo Club of America. An important condition is to choose a breeder who is dedicated to following the club’s ethical guidelines. This prohibits the sale of dogs to pet shops or wholesalers and emphasizes breeders’ obligations to the crossbreed and to buyers. A Cockapoo puppy doesn’t have to cost very much, but its price can vary a lot. If you want to buy a puppy, you should look after a few things as: its parents’ health clearances, a clean environment, its testing regarding the temperament and socializing level , its deworming and so on. You can see the type of look you can expect from a Cockapoo puppy above. Below is a video of some puppies in action. is the cockapoo in the pictur for sale? I am looking to purchase a female miniature Cockapoo puppy for sale that grows from 12 to 18 pounds and sandy in color. Could you please let me know how much the puppy costs and if it has its first shots and has been seen by a veterinarian? How can I purchase one and when would a puppy be available to take home.